This month's book review features Peter York's Davies's Authenticity is a Con. 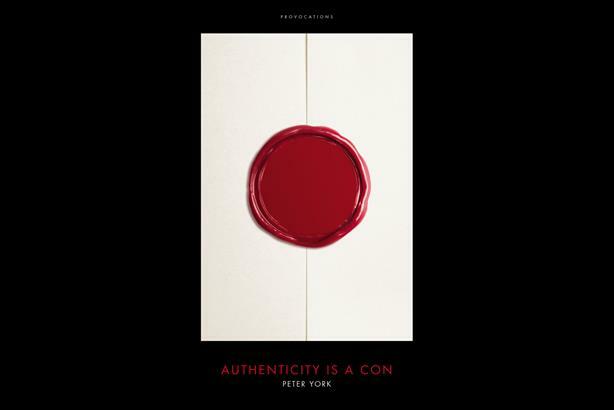 Peter York’s Authenticity is a Con is a bull in the china shop of inauthentic authenticity, shattering the carefully constructed ‘matrix’ that shields us all from the actual reality of politicians (Nigel Farage, beware), brands (marketers, you’ve been rumbled), music (Bowie’s inauthenticity was authentic) and other integral parts of our lives. It’s a right rampaging riot of a read. InThe Matrix, Morpheus asks: "How do you define real?" This is a book that dives head first into this rabbit hole. It is also a massive rant. I can rant with the best of them, as my Twitter feed will testify, but even my hatred of commuting and bad manners doesn’t come close to the disdain Peter York has for Shoreditch – his Ninth Circle of false authenticity. For him, the faux bare bricks of its buildings, the tended scruffiness of its peak beard inhabitants and its overpriced ‘salvage chic’ stores are the Mordor that threatens the Shire. Many would agree. The irony is that the reality on which this book is based – that people want authenticity above all – has shifted. Trendspotters and researchers are increasingly finding that people, after years of recession misery, want a bit of artifice, fiction and inauthenticity in their lives. The author writes: "I believe a bit of measured authenticity, some flattery, some white lies, make things work and cheer everyone up." The fact is, the person in the street is starting to agree. The point this book is making is spot on but the world is already moving on. I suspect this would make York very happy.